PDP are the premier choice if you need a Plumber or Gas Safe Engineer. We provide professional and reliable plumbing and heating services for both domestic and commercial customers in the Brighton and Hove area. Our experts understand the importance of offering a complete service which includes assessment, fitting, sourcing, repairs, alterations and much more. All our work is guaranteed and fully insured. PDP’s Gas Engineers are fully Gas Safe registered and committed to ensuring that you receive the highest level of standard when it comes to all your gas appliances and central heating systems. From an annual boiler service to a complete new heating system, PDP can help with all your heating needs. Boilers need to be regularly serviced to ensure all components are checked and working correctly – and most importantly that they are safe. 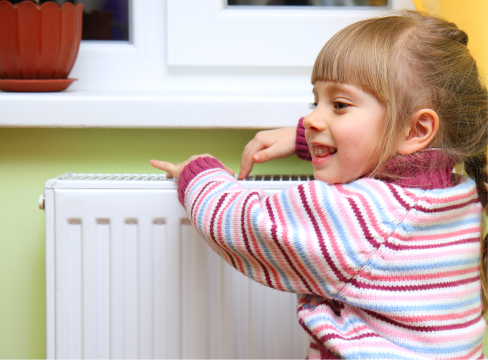 An annual boiler service not only helps prevent potential issues but ensures heating and hot water efficiency to keep energy bills as low as possible. Without a regular service your boiler warranty may be invalidated. If your boiler hasn’t been regularly serviced or poorly maintained it can produce carbon monoxide gas. Carbon monoxide (CO) is a risk to health; it can cause death as well as other long term health problems. The main symptoms of CO poisoning are headaches, dizziness, nausea, breathlessness & loss of consciousness. Other symptoms of CO poisoning are less obvious, and can appear as tiredness, flu or a viral infection. If symptoms only appear when you’re home it could be another indicator of CO poisoning. Inspect the boiler and controls to ensure it’s operating safely. Check the boiler for any leaks and corrosion. Test the flue to check for unsafe emissions from the boiler. Clean the boiler’s parts as required. Test your carbon monoxide alarm. Answer any questions you may have regarding your boiler. To book a boiler service click here or call 01444 480444 or email plumbing@pdp.services. If you have commercial heating requirements please click here for more information. For further information on our plumbing and heating services click here.